The 87th All Japan National Championships take place at the Towa Pharmaceutical RACTAB Dome in Kadoma City, Osaka Prefecture, Dec. 21-24, 2018. 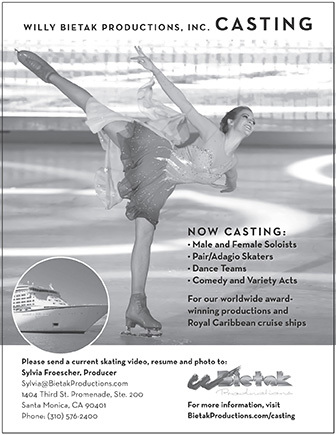 There are currently 29 men, 29 ladies, two pairs and three ice dance teams scheduled to compete. Berths for Four Continents and Worlds will be decided at this competition. Yuzuru Hanyu has withdrawn from this competition as he continues his recovery from the ankle injury he suffered at Rostelecom Cup while attempting a quad loop in practice. Japan will field a team to Four Continents in February and three skaters in each of the men’s and ladies disciplines at the World Championships. Hanyu and Shoma Uno will be shoe-ins for the first two, but who will claim the third? In the ladies field, there are six possible contenders for the three spots in Saitama: Rika Kihira, Satoko Miyahara, Wakaba Higuchi, Kaori Sakamoto, Marin Honda and Mai Mihara.